The Family Dollar store on South Claiborne Avenue was robbed at gunpoint Tuesday evening, New Orleans police said. 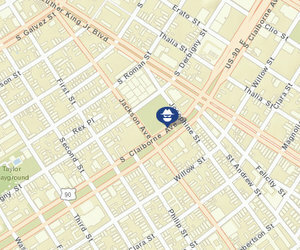 A man walked into the store in the 2100 block of South Claiborne (near Jackson Avenue) around 9:40 p.m. Tuesday, July 12, and pointed a gun at the cashier, a woman in her 20s, according to the initial NOPD report. He took money from her, then left in a white Chevrolet Tahoe, the report states.